The child of an Indonesian father and an Austrian mother, Eric Papilaya was born on June 9, 1978 in Vöcklabruck and grew up in Laakirchen. In late autumn 2006 Eric had managed to become one of the finalists among 2,486 competitors for the successful ORF Starmania format, and was the only “starmaniac” to sing his own composition during one of the shows (a ballad called “Alles, was du bist”). The stage is his elixir of life: At the early age of 15, Eric Papilaya founded the band Milk. It is obvious that Eric, born in Upper Austria, doesn’t fit into any clichés, he’s just too versatile to match a stereotype. Greg Usek’s career began in the late eighties, when he first felt called to produce music. In the mid-nineties, he began experimenting with electronic music. 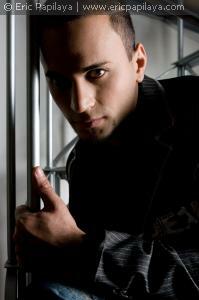 Usek has always been open to new inputs, and his ability to combine the best elements of glamorous pop with so-called underground music has earned him a reputation as a brilliant crossover producer. His first worldwide release as a music engineer and co-producer was the remix of Tina Turner’s “When the Heartache Is Over”. The international breakthrough came in 2000, when he and his partner producer Sergio Flores were given the opportunity to produce Kylie Minogue’s comeback single “Spinning Around”. The single became a worldwide success, climbing to number one in the UK charts. Soon followed remixes for Tom Jones & Heather Small, Enrique Iglesias, Gloria Gaynor, Atomic Kitten, Vanessa Amorosi and several other artists, helping to consolidate Usek’s status as an internationally acknowledged producer. Songwriter Austin Howard can look back at a long and international successful career. Howard, a singer, producer, and songwriter founded his band Ellis, Beggs & Howard in 1987. The band received a Diamond Award for Best New Group for its first album “Homelands” (featuring the hits “Big Bubbles No Troubles” and “Where Did Tomorrow Go”). After leaving the band, Austin Howard continued to work with international artists, recently with Joss Stone on her hugely successful “Mind, Body and Soul” album. Austin is currently developing new entertainment programmes for the BBC.